Pumpkin carving for Halloween - a fun and hyggelig thing to do. When Denmark adopted the Halloween tradition, we also adopted the Halloween pumpkin carving. It has been a fun thing to do for the last few years, and we end up with some pretty cool and scary looking pumpkins. This year we also made a grown-up pumpkin, using a small drill for a different, more graphic look. The look we went for is a polka-dot pattern, and it looks beautiful when lit. 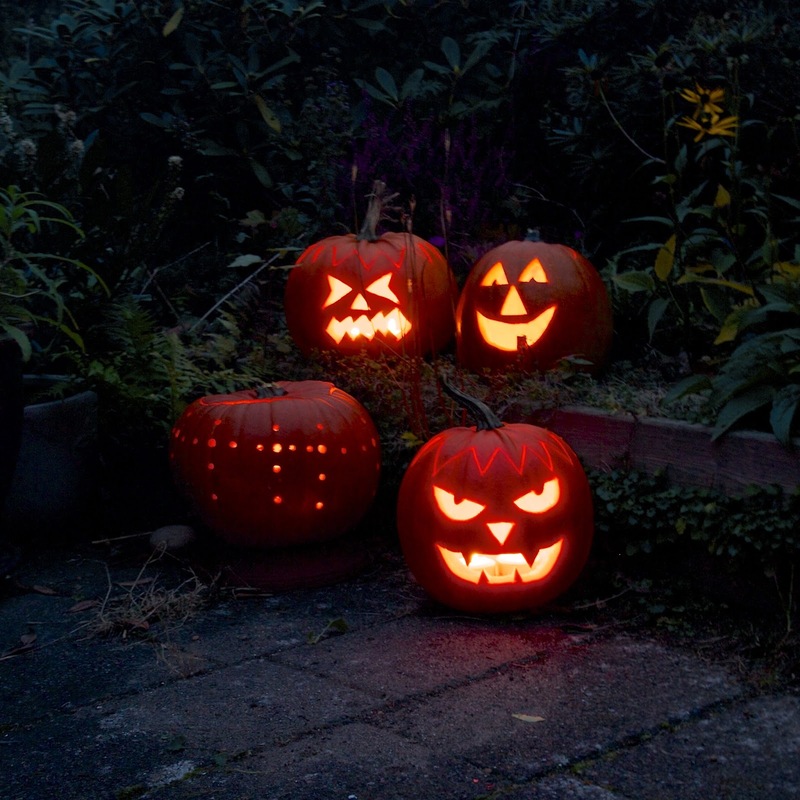 Pumpkin carving is an activity you can easily do as a family. It is hyggeligt sitting together, working on the pumpkins, and seeing the shapes the take. 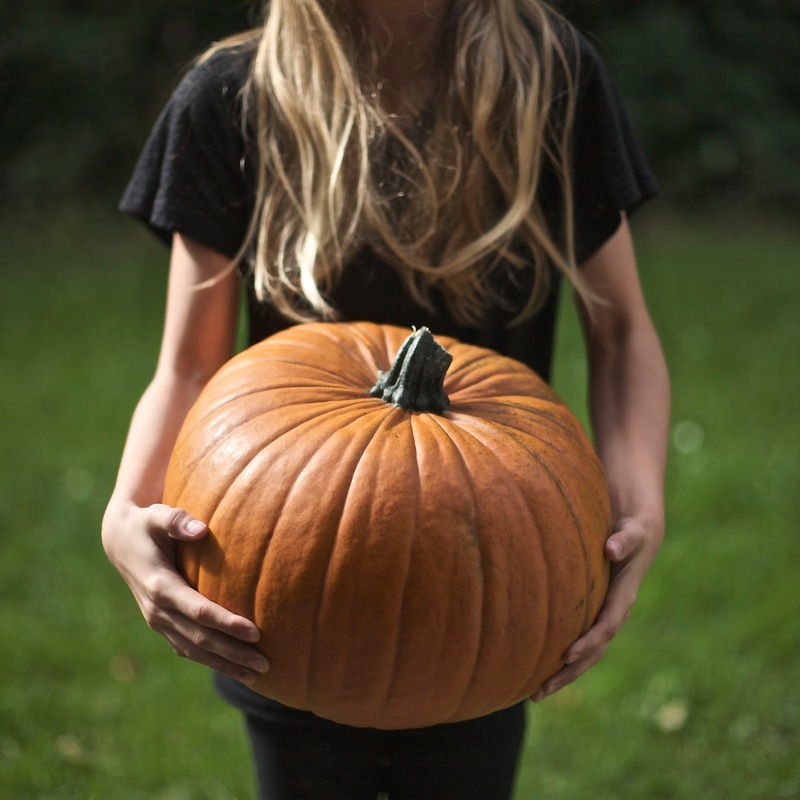 Small to medium size orange pumpkins – round pumpkins are easier to work with. A carving knife. Make sure it is not your largest knife as it will be difficult to work with. Medium sized sharp knife with a medium blade works best. A permanent marker to draw the pattern before carving. Small tea candles for the inside of the pumpkin. Be aware that the orange pumpkin gives off some colour, so use a PVC covered table cloth to keep your table clean afterwards. If your children are helping, you may want to do the actual carving yourself or supervise them very carefully, depending on their age, especially if you plan on using a drill. Start by carving the pumpkin around the stem top, removing it, and scooping out the insides. Discard. Depending on the look you are going for, cut the top edge in a zigzag. Then draw a face onto the pumpkin. 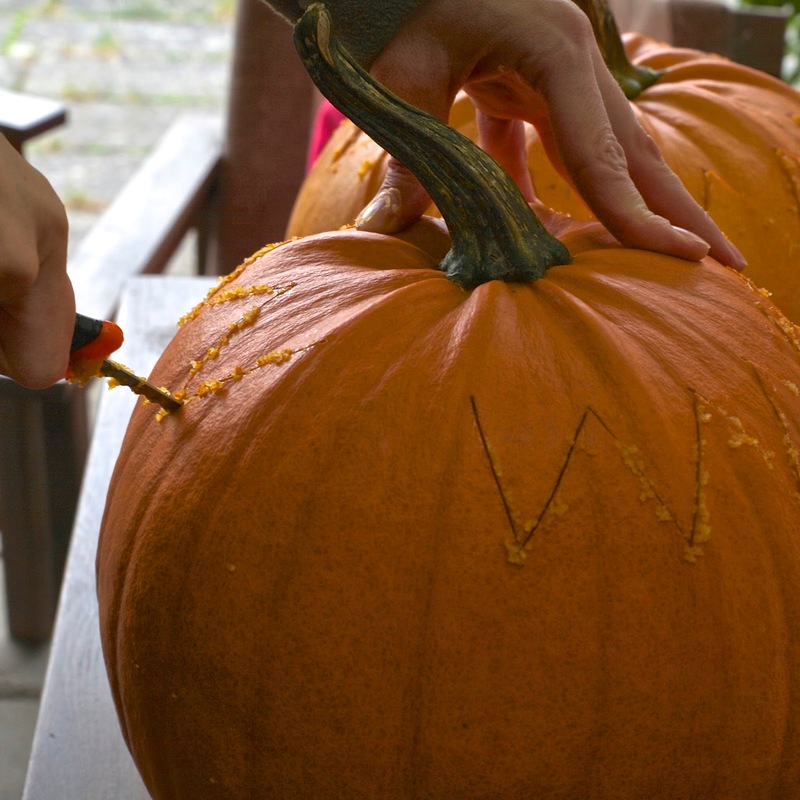 If you use a permanent marker, make sure the pumpkin is completely dry, otherwise, it could end up smudging. If you want a more graphic looking pumpkin, get your drill and make polka-dot patterns. Align the holes for a more graphic look. Get your sharp knife and cut out the pattern you have created. Be careful so you do not end up cutting yourself. Pumpkins can be quite hard. The smaller the pumpkin the harder the skin. Last put some tea lights inside the pumpkin and light them. Put the stem top back on as a lid/hat. The pumpkins will stay fresher if you keep them outside in the cold air. A carved out pumpkin will probably last for about one week outside.